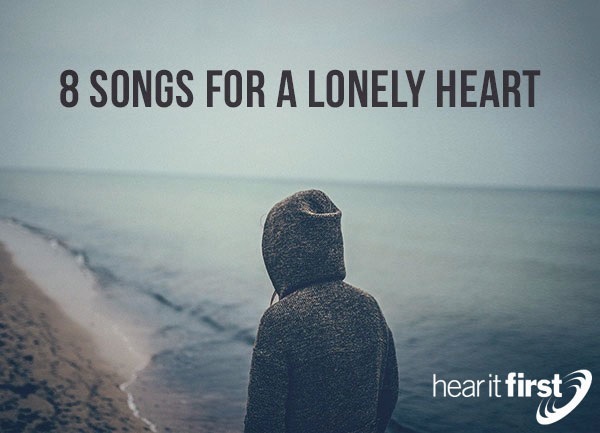 Here are eight songs for a lonely heart. The song, “You Carried Me” by Building 429 reminds me of the “Footprints in the Sand” poem where it seems that God has disappeared in our life but when we look behind us, we see only one set of footprints and it was where the Lord carried us through a difficult time. They sing, “You carried me through it all. And I believe, yes, I believe. You'll carry me all the way home. 'Cause mercy covers all, mercy covers all” and so they can say, “I stand only because you've given me faith to walk” showing their faith in God and utter dependence upon Him during the times of difficulties in our life. What a great song “Desert Song” is as Hillsong sings for all those who have been left high and dry by someone they loved and now find themselves is a desert place. They sing, “This is my prayer in the desert. When all that's within me feels dry. This is my prayer in my hunger and need. My God is the God who provides,” so “this is my prayer in the fire. In the weakness of trial or pain” as “there is a faith proved. Of more worth than God,” so they sing (or pray), “refine me Lord through the flames.” Hillsong’s “Desert Song” may be a perfect listen for the lonely hearted Christian. I love just about anything from Matt Maher, especially “Come to the Water,” which focus on the weak, the poor, the tired, and the thirsty, but in the song, “Alive Again,” Maher sings about a dark night of the soul, as he sings, “I woke up in darkness surrounded by silence. Oh where, where have I gone? I woke to reality losing its grip on me. Oh where, where have I gone?” Have you ever felt like the darkness is about to swallow you up in your loneliness? Maher sings, “You called and You shouted. Broke through my deafness. Now I'm breathing in and breathing out. I'm alive again,” so this song will help you out of the darkness and lift your spirit into the light where you too can sign, “I’m alive again,” thanks be to God. The song, “You Are More” by Tenth Avenue North focuses on a young girl who’s “in the corner. With tear stains on her eyes. From the places she's wandered. And the shame she can't hide” and so she cries out, “She says, how did I get here? I'm not who I once was. And I'm crippled by the fear. That I've fallen too far to love.” For the believer in Christ, we can sing to Him, we “are more than the choices that you've made, You are more than the sum of your past mistakes” and “You are more than the problems you create, You've been remade,” and it is worth praising God for being remade into a new creation in Christ (2nd Cor 5:17). Kari Jobe’s song, “Steady My Heart,” is such tender song that reflects on the hurt that we all experience, and that a broken heart is a tender heart, but all is not lost as Jobe sings, “Even when it hurts. Even when it’s hard. Even when it all just falls apart” we can “run to You” oh God. When there is no other place to turn to or no one else to run, run to God because as she sings, He is the “Lover of my soul” and the “Healer of my scars” and “You will steady my heart” in uncertain times. But don’t lose heart because we know that we’re “not gonna worry. I know that You got me. Right inside of the palm of Your hand,” showing that God is still on His throne, even threw the pain and heartbreak…and even when it hurts, He will steady your heart. When you are experiencing times of loneliness, the last thing you need to do is to isolate yourself. You need the prayers, fellowship, and love of the saints who can surround you with prayers and lift you up to the Lord for His blessings and a love that is unconditional…a love that never dies. God has promised to never leave us or forsake us (Heb 13:5), even when everyone else has.